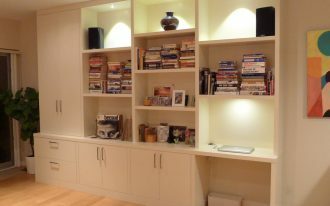 Feel confused what should be done to optimize the corner space? 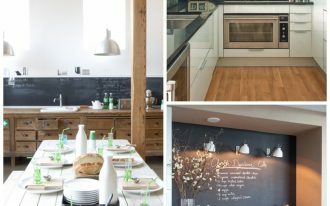 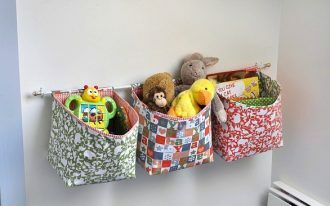 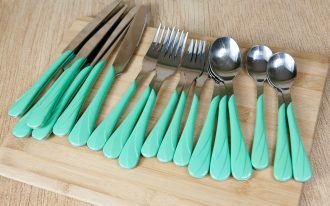 Actually there are a lot of ways of decorating unused corner space. 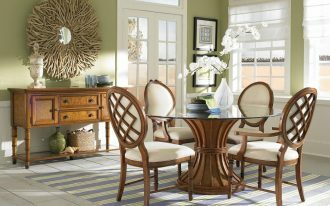 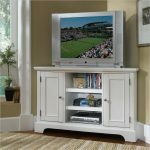 One of them is by fitting corner furniture like corner bench set, corner sectional, corner bookshelf, and other storage ideas. 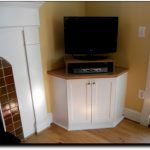 Tall corner TV stand seems to be a great idea to be placed in that spot. 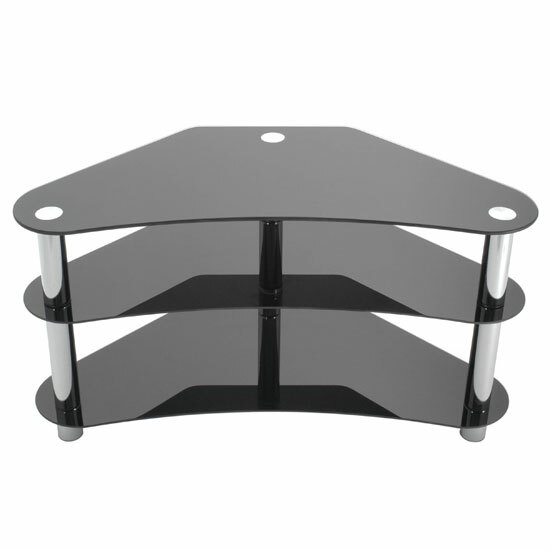 It perfectly gives a new angle for you and your family when watching favorite TV programs. 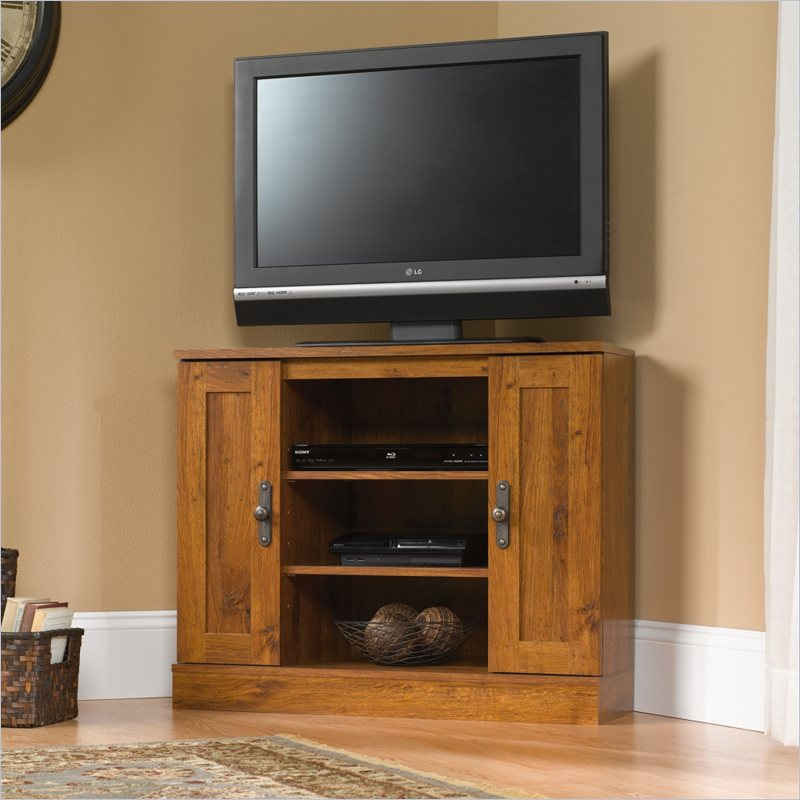 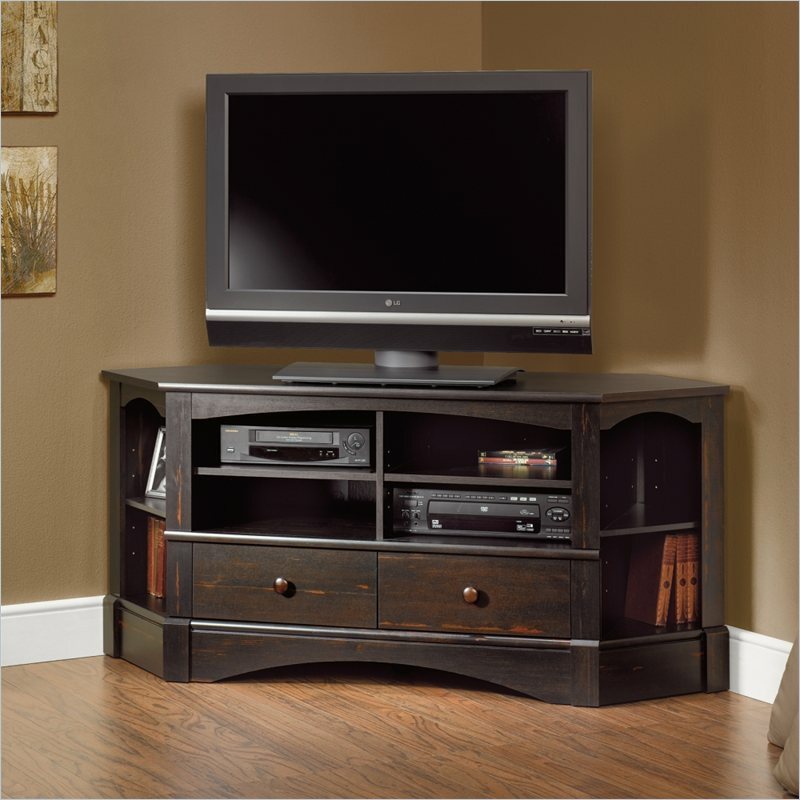 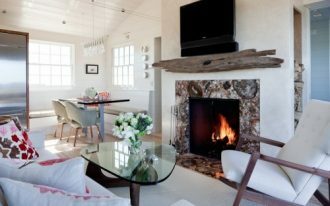 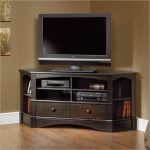 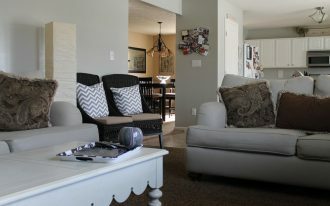 In addition, only with this TV stand, you have fresher family room look. 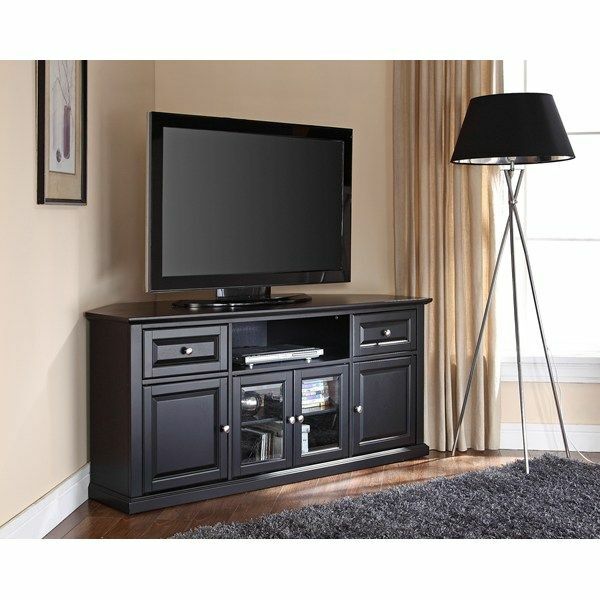 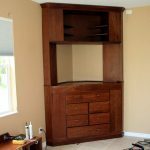 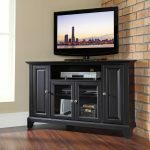 Tall corner TV stand actually has similar design to traditional TV stand. 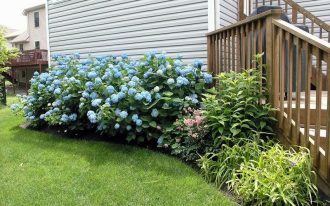 Just few differences you’ll discover if you compare both carefully. 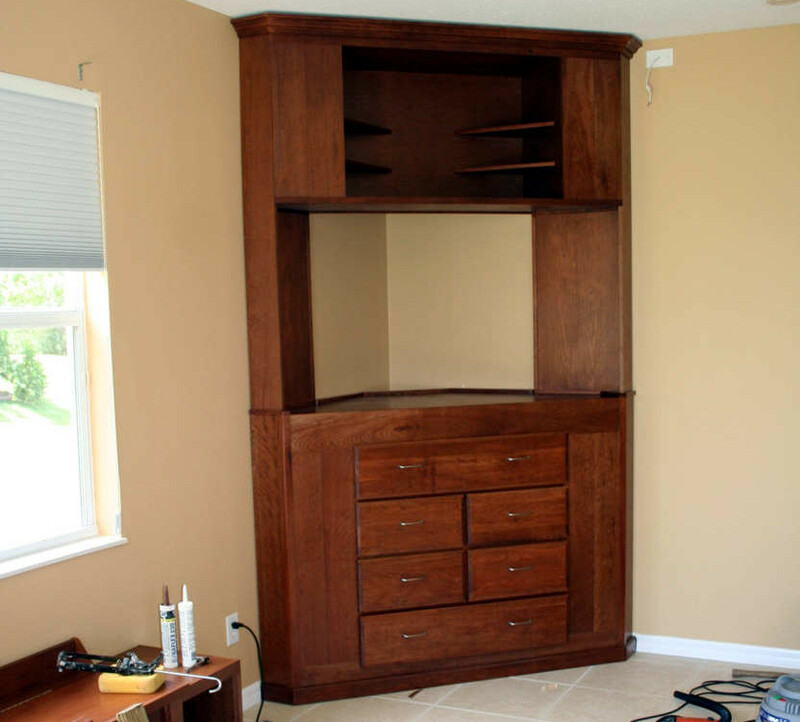 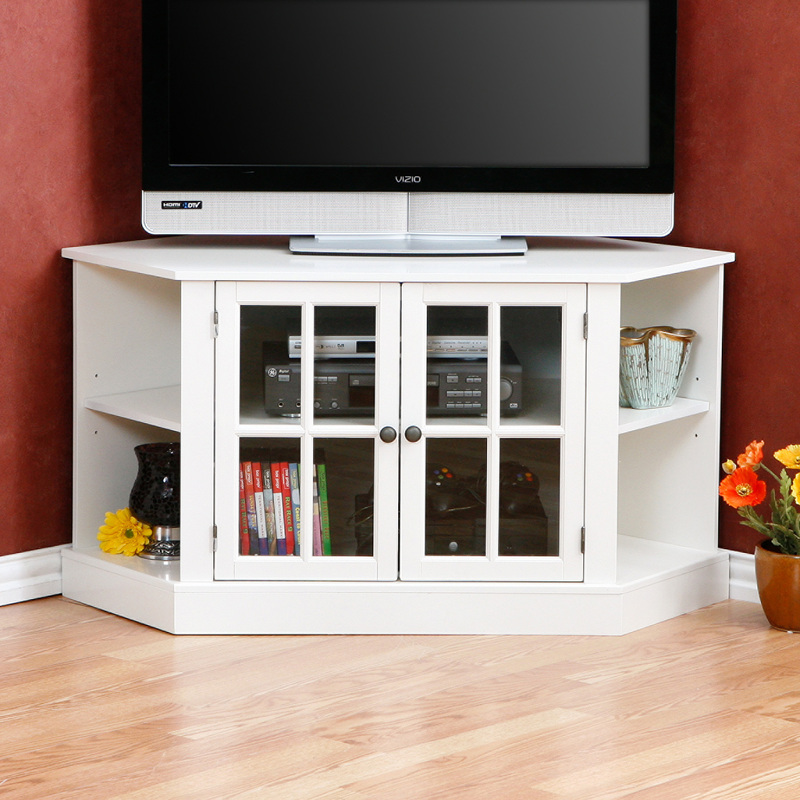 Yes, tall corner TV stands are physically taller than other TV stands. 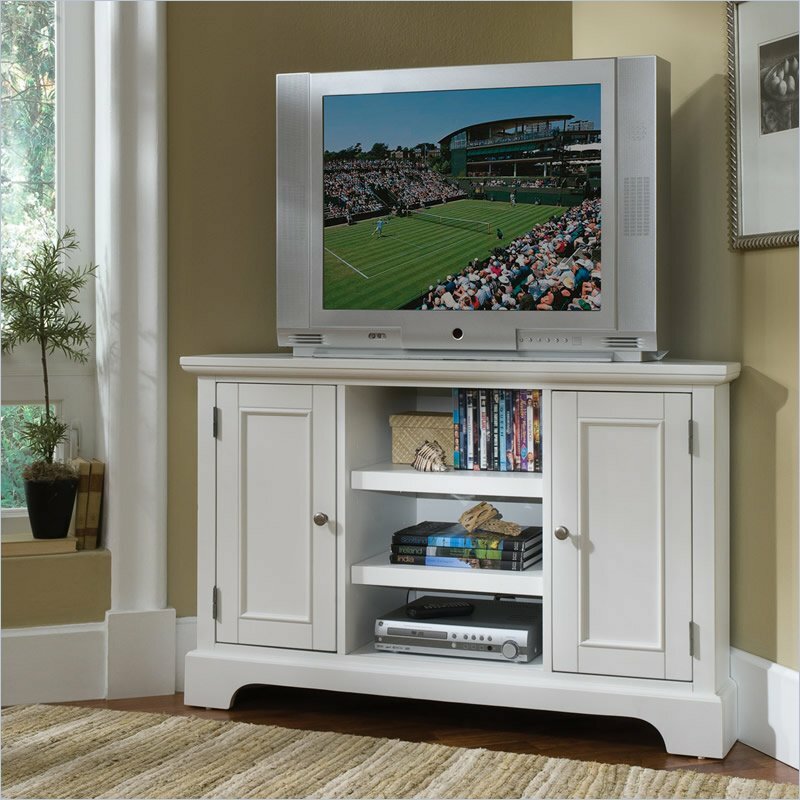 The optional features, such as storage, shelf with glass door, sliding glass/ wood door, etc are available to meet users’ storage needs. 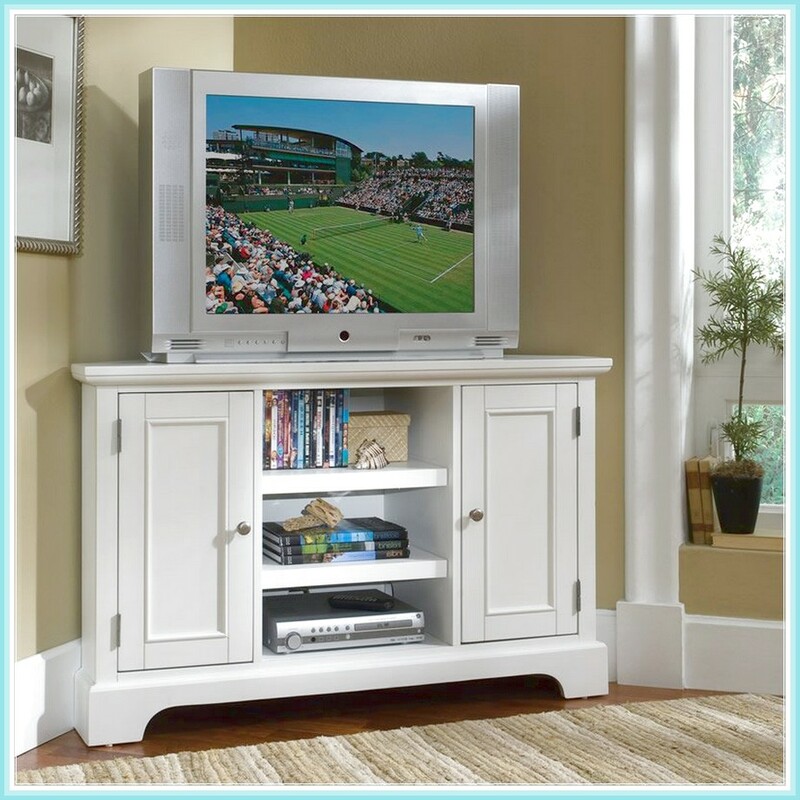 Wood becomes the main material usually used by manufactures to produce the series of tall corner TV stand. 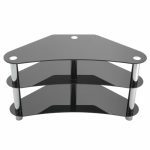 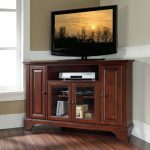 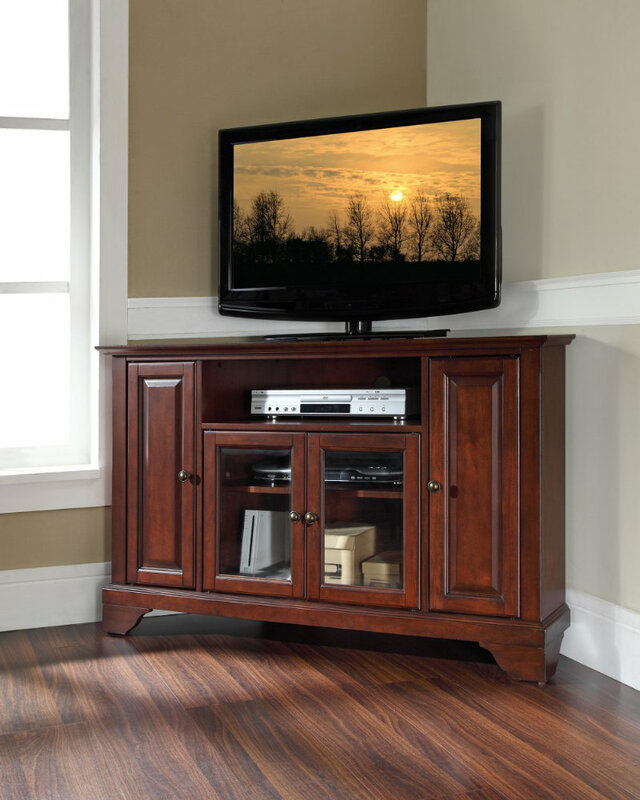 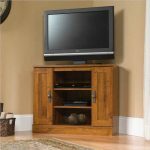 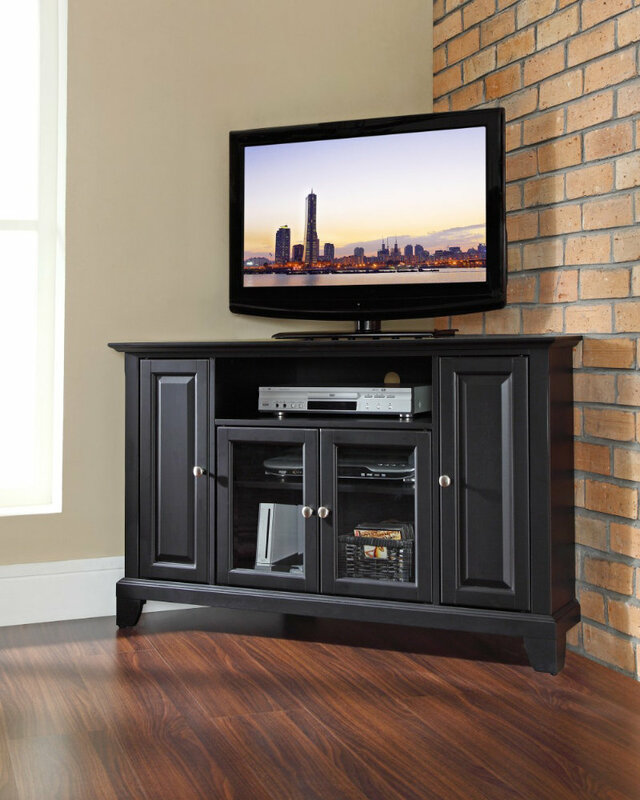 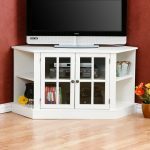 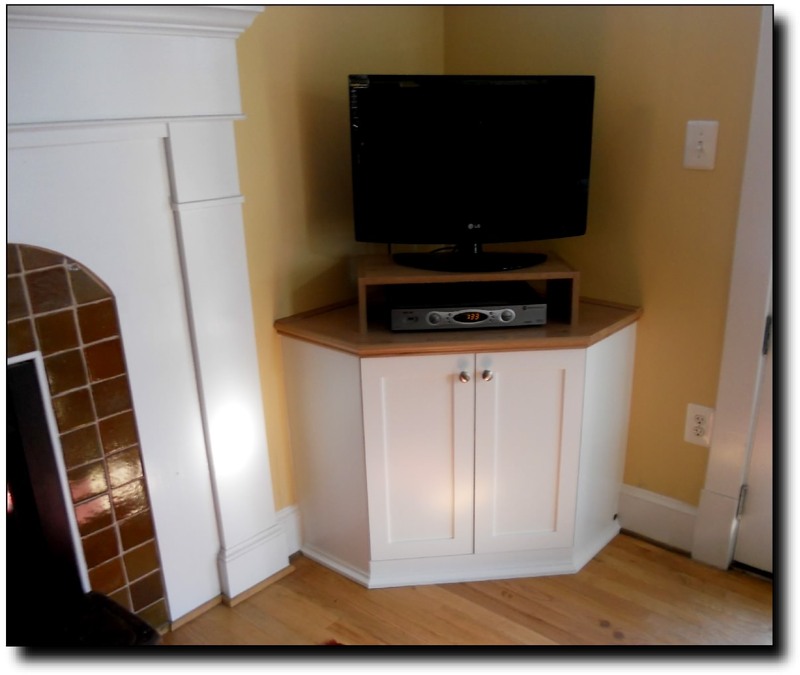 Finishing covering the whole body of corner TV stands vary, from earthy natural schemes (dark brown and natural brown) to solid color schemes (red, blue, black, white, neutral, etc). 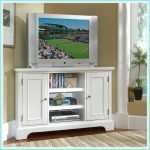 Unfinished and clear-finished tall corner TV stands are also provided for you who love original-scheme TV stands. 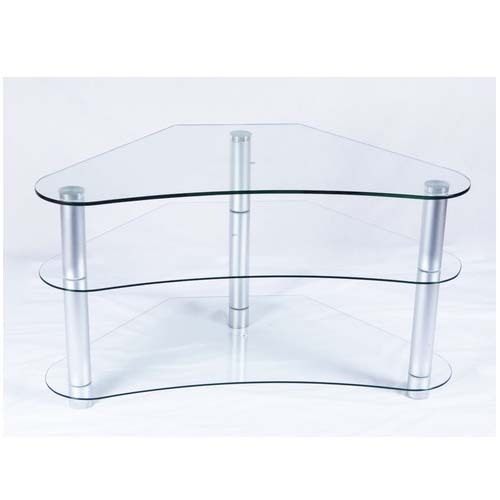 Glass and lightweight metal TV stands are now producing to meet the customers who like modern-look furniture for their family rooms. 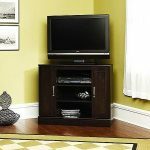 These units present huge modern touch to any rooms. 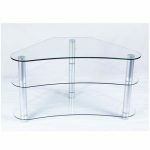 Tall glass corner TV stands with two-layer glass shelves, for instance, looks so perfect for a family room with any other modern interior items. 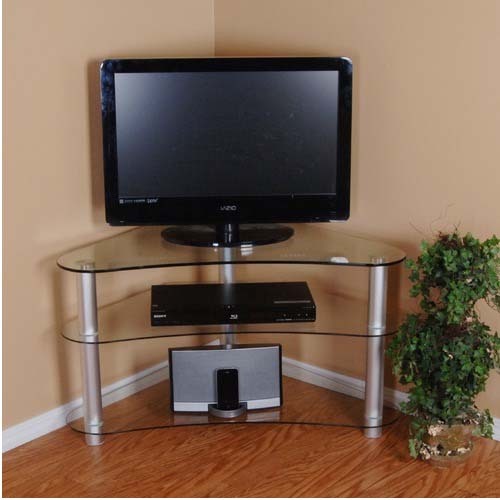 Well, we have other references of tall corner TV stand designs Please feel free to visit our gallery.